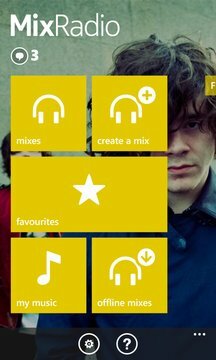 MixRadio is the world’s most personalised music streaming service. Imagine a radio station where every track is chosen just for you, from music you love to music you’ll want to discover. Start listening with Play Me, an ever-changing mix based on the music you love. Use Thumbs Up and Thumbs Down to make the mix better each time you play. It’s like having your own personal radio station. Also includes hundreds of handcrafted mixes, create a mix, gigs, artist notifications, mp3 store and player, and of course the ability to save your favourite mixes for offline playback so you can listen even without an internet connection. 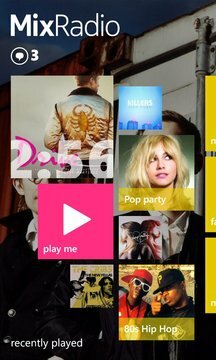 MixRadio is owned and operated by MixRadio Ltd.
-	Bug fixes and performance improvements.